Scroll your screen, until you turn green! Screen out or screen in your interest! 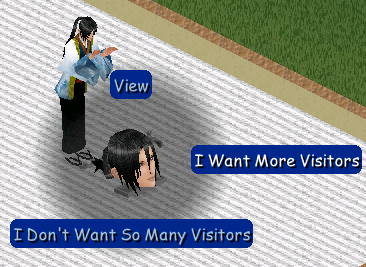 Your Sims will give you their pointless interest in return for lots of fun and comfort! 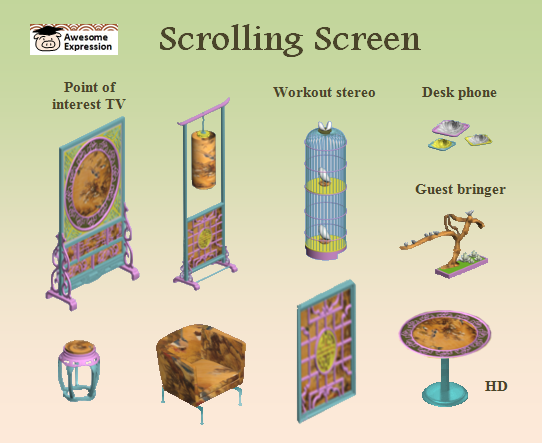 Now you can scroll and workout at the same time while staring at a cage! 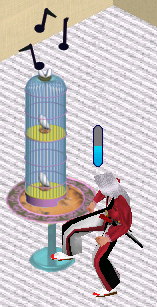 Your body will ache so much that you will start becoming jealous of the fake birds in the cage. Abs not included. Works as regular stereo or Sims can work out to gain Body points. Let your guests roll in like the dispensibles they are! WIth today's disposable culture, the Scrolling Screen guest bringer provides you with a flow of continuous wanted and unwanted guests. The supply is so consistent that you start to think they are utterly disposable. Tired of phones looking like phones? Try the Scrolling Screen phone! Now even calm-looking lotus decors can give you a scare with unwanted midnight calls!